For those times when you’re looking for a quick bite, for a catch-up with friends, for some quality family time, or for a romantic evening, Five Spice is the perfect place for you. Offering a complete refurbished environment with no expense spared, Five Spice is a great hotspot delivering an impressive Bangladeshi/Indian inspired menu. 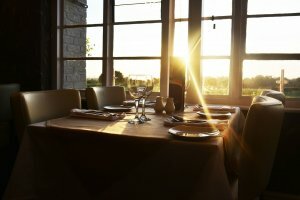 As well as a stylish dining setting, Five Spice also offers a fantastic outdoor seating area overlooking the picturesque views of Belbroughton. Our background is made up of restaurateurs and entrepreneurs. We have opened a range of other restaurants in and around the Midlands with huge success and we are determined to continue in good fashion with Five Spice. With a large breath-taking space with a modern and stylish feel, you are sure to feel the buzz of this bustling room as you enjoy your food. Open 7 days a week until late, Five Spice serves something for everyone with traditional dishes, authentic spices, sizzling platters and quality desserts. Enjoy our bar area where you can sample our vast range of choice. Whether you’re after an after work tipple, a frozen mocktail or a weekend of drinking, our bar invites you to enjoy a truly memorable experience. We have our own private car park with the capacity for up to 60 car approx. The car park has CCTV covering all areas and locked gates for any vehicles over night. We will not be held responsible for any damages to your vehicle whilst kept on our car park. We offer a highly competitive and professional catering service designed around you, tailored to your specific needs, and aim to make any function or event stress-free when it comes to feeding your guests. We will arrange a time to meet with you and discuss your requirements to ensure we cater to your every need. We also offer the facility to hire Five Spice as a venue for weddings and other events. Five Spice will also make your special occasion memorable with our award winning Indian cuisine. Our tables can be designed to suit whatever event you would like to hold with us. The restaurant is perfect for your intimate wedding celebration, ideal for your Christmas & New Year parties, family celebrations, special birthdays or anniversaries, allowing for the opportunity to catch up and chat with family and friends. Our wonderful award winning chef and his team will create a delightful dining experience for each occasion or even for meetings and networking. We offer a range of outside catering services for all kinds of occasions. This can mean anything from catering for a local wedding, anniversaries, family get together or a group celebration. We can create bespoke set meals or buffets to suit individual requests. We will set up the buffet on a suitable table or surface covered if necessary, with a paper banqueting cloth. Buffets are available to groups of 10+. A minimum deposit of £50 is required on confirmation of booking and the balance due on presentation. Within a 10 mile radius of Bebroughton, there may be a delivery charge dependent on buffet numbers and distance. Our buffets our usually presented on stainless steel platters & crockery dishes, collection of these will be arranged separately, but we can also provide table top buffet units to keep food warm with an extra cost. Please feel free to discuss your requirements with us with no obligation.